DESCRIPTION Stylish, functional and an amazing layout. These are all the things you will find yourself thinking, as you tour through unit 201 at Riverpark Manor. 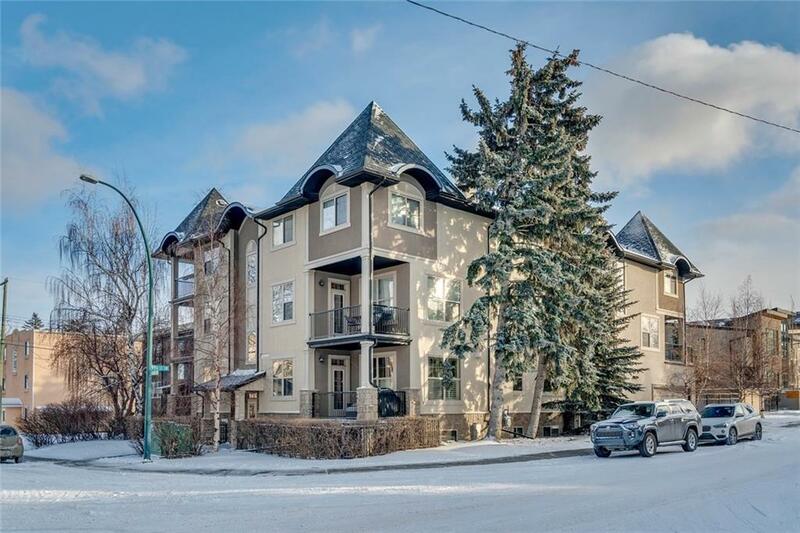 Located in the vibrant community of Altadore, this 2 bed/2 bath unit is exactly what you've been looking for! Loads of natural light pour in through the corner windows, making it feel a lot larger than the actual size. The wide, open-concept plan with a large island overlooking the living area make this an entertainers dream. You'll love the stylish built-ins and gas fireplace, as the focal points of the living room. New lighting throughout the kitchen - track lighting has been replaced with pot lighting, new pendant lights over the island and valence lighting installed under cabinets. Other upgrades include new fridge and microwave, carpet in the bedrooms, subway tile backsplash in the kitchen, tile around fireplace, fresh paint on walls and ceiling and new toilet in master bathroom. Book a showing today, because this one must be viewed in person!